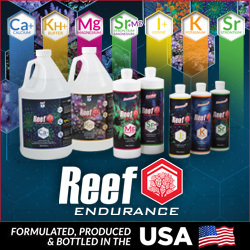 Since our fish live in closed systems with limited exposure to things that naturally occur on the reef, providing them with the most nutritional source of food is paramount. 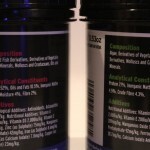 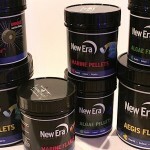 Under typical circumstances, our fish need a wide variety of products to meet these needs, and the guys at Living Color Enterprises have some interesting new fish food products marketed under the New Era label that do just that. 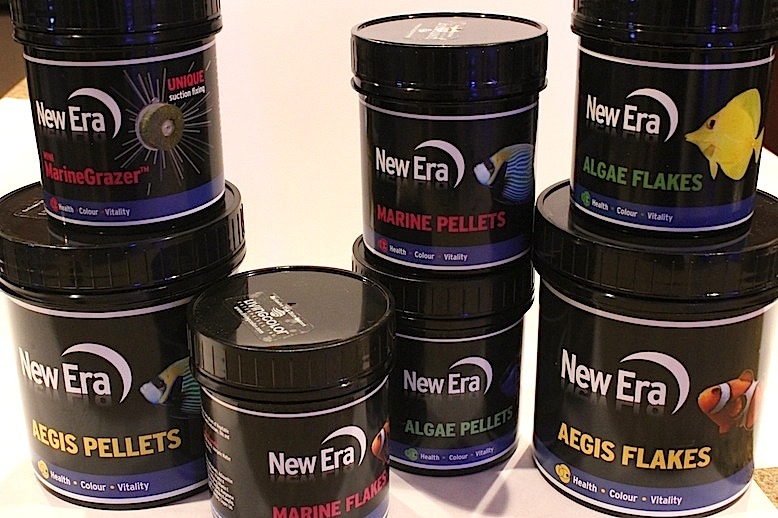 Instead of freezing a bunch of brine shrimp or krill and putting them in blister packets, the New Era products are each a blend of different natural and sustainably collected ingredients packed with various vitamins and additives. 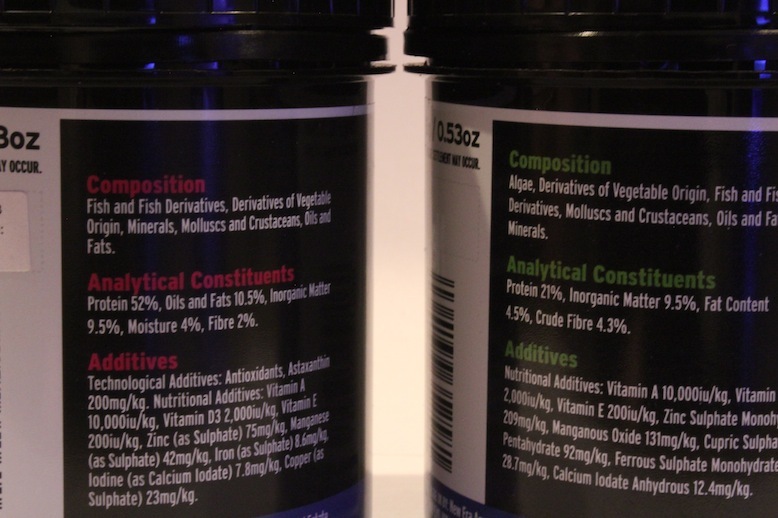 These foods promise to improve fish health, increase color, and boost vitality, and to test those claims, we got our hands on a rather robust set of the saltwater specific foods to try out. 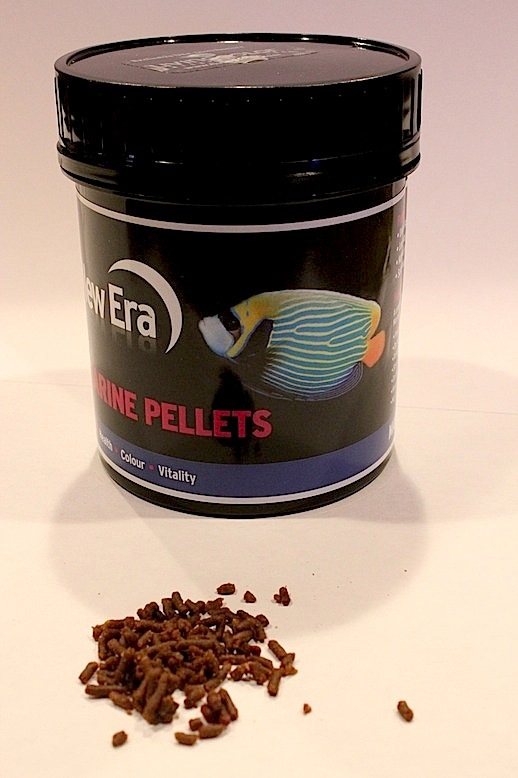 Our hands on time so far has been limited, but we’ve already seen a very positive reaction from our fish, who can’t seem to get enough. 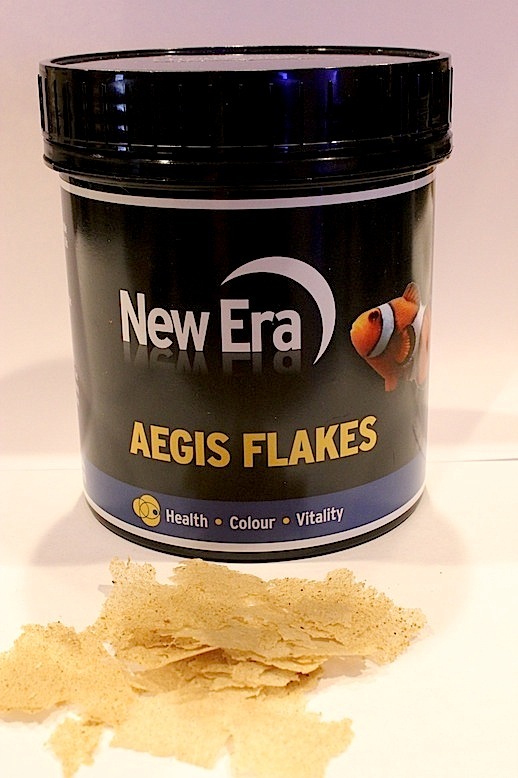 Over the coming weeks, we’ll be trying out the Marine Flakes and Pellets, Algae Flakes and Pellets, Aegis Flakes and Pellets, and the Mini MarineGrazer. 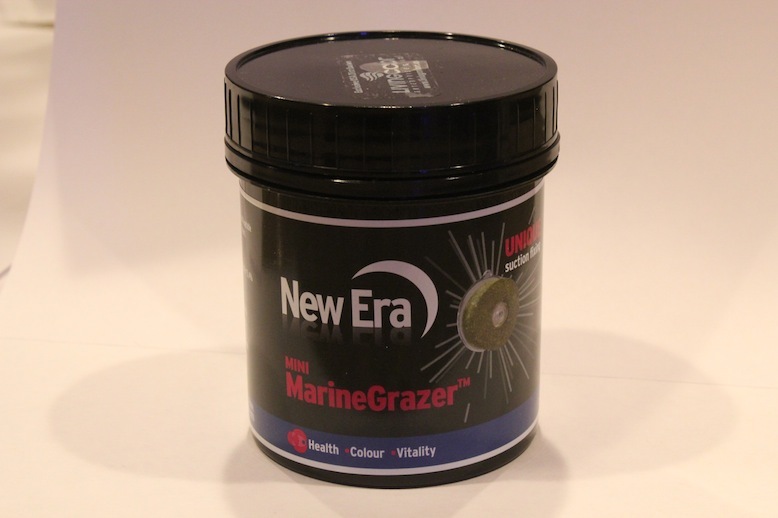 We’ll be including video footage of the foods, with our big focus on the MarineGrazer and supplied feeding station. 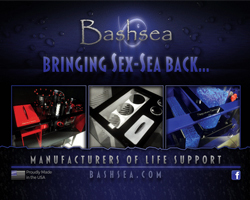 Until those long-term results come back, enjoy the additional images and product information listed below. 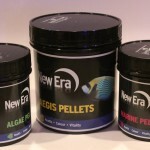 The first product we unpacked was the New Era pellet foods, which are available in the Algae, Marine, and Aegis products. 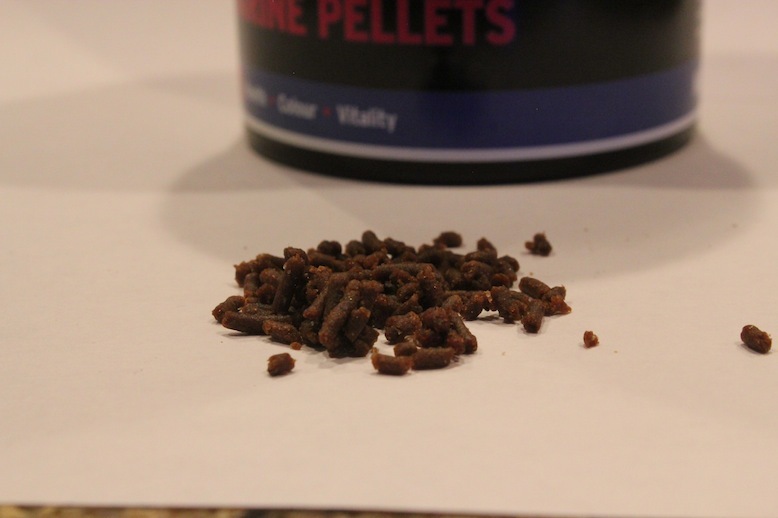 These pellets are soft and pliable, readily sink so that each of the fish can get plenty to eat, and come in a variety of sizes (1.5mm, 6mm, and 15mm diameters). 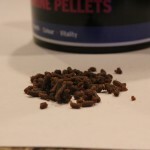 The pellets can be mashed together to form a larger pellet or a ball of food for those larger fish if needed, and they can also be cut into smaller pieces if necessary. 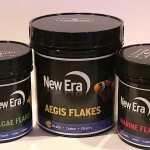 The next product on our horizon was the flake food. 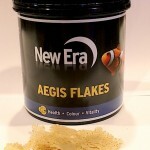 As with the pellets, the flakes are available in the Algae, Marine, and Aegis blends, but instead of being a flexible hunk of meat, the flakes are large sheets of paper thin ingredients. 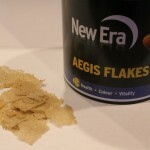 The New Era flakes are also noticeably different than traditional flake foods. 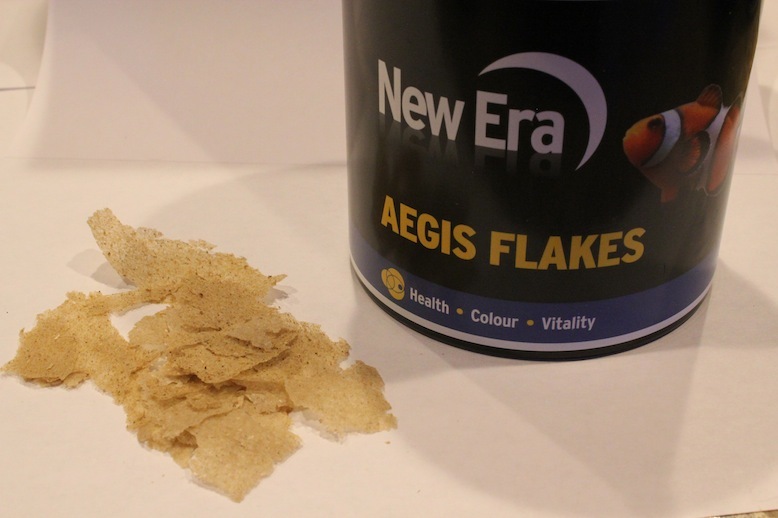 While the old school flakes are tiny squares of food that look like a bunch of confetti, the New Era flakes are large and have a color that’s far less annoying. 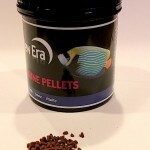 On top of that, they are noticeably soft and readily break up in the aquarium into smaller pieces that every fish can nibble on. 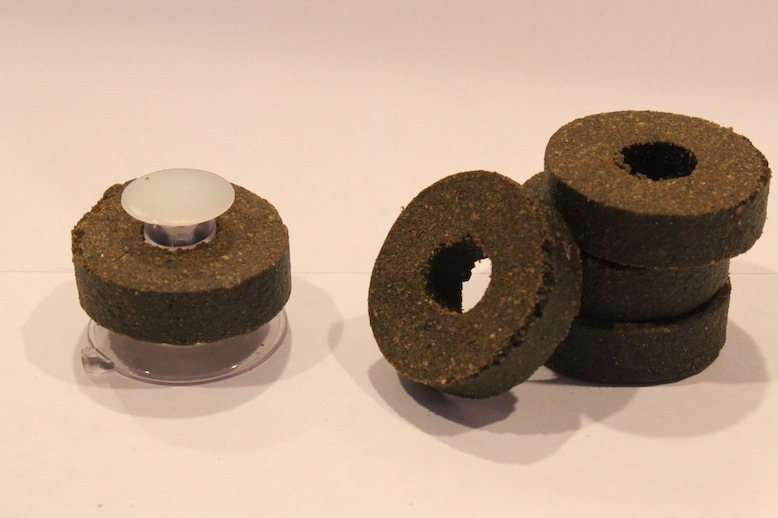 That last product we’ll dive into in this article was the Mini MarineGrazer feeding ring. 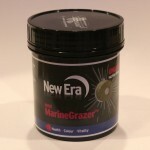 This ring is most unique food product that New Era offers, as it provides the long-term grazing ability that’s commonly seen in sheets of algae, but has the consistency of the soft pellet products. 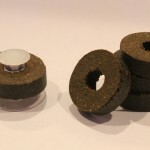 The rings are designed to fit over a suction cup holding system, which allows fish like tangs and angelfish to graze for longer periods of time, and new pellets can easily be replaced as old ones are gobbled up. 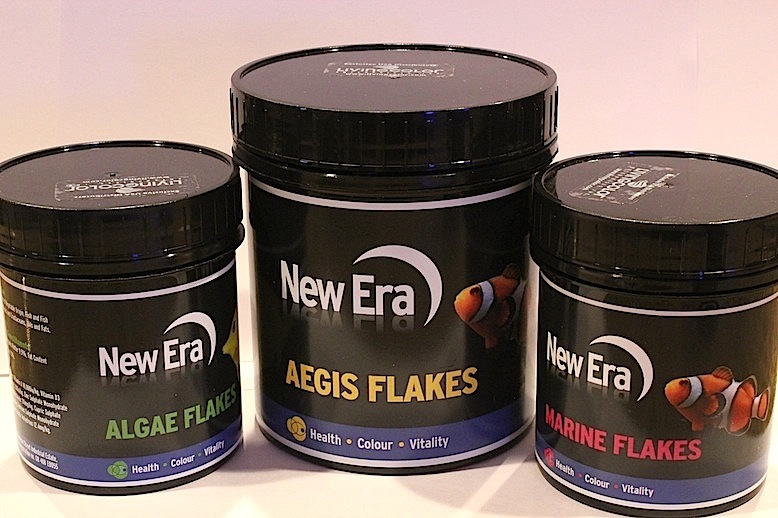 Like we mentioned before, we haven’t had a whole lot of playtime with these New Era foods. 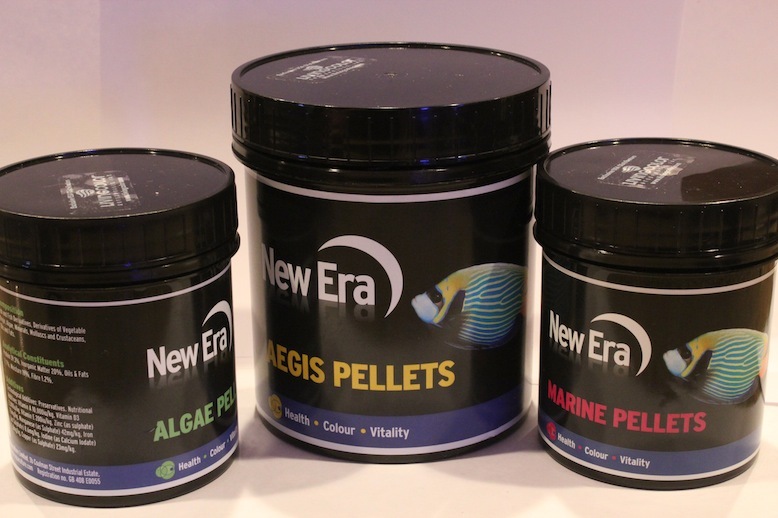 Despite this, our fish have responded well thus far and we’re very excited to try out the rest of the products in the rest of our aquariums.